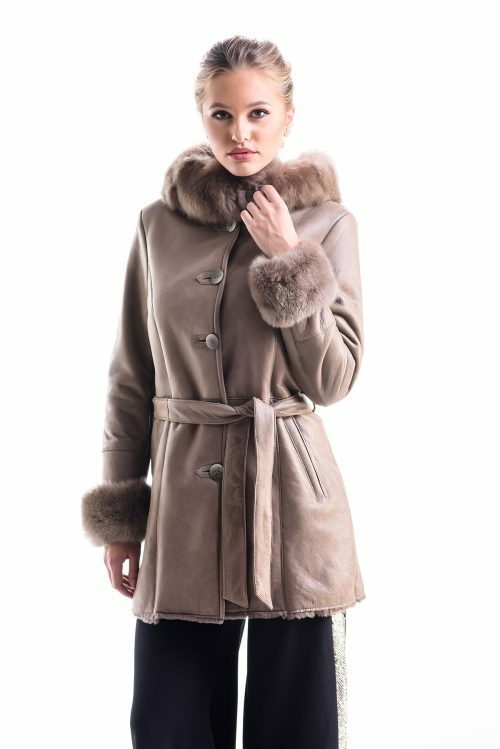 Fur coat for women, made of mouton lamb fur with a waist belt.The exterior of this coat is made from mouton lamb fur trimmed to 8mm thickness and the interior is padded. Coat sleeves are wide and narrows towards the wrist. 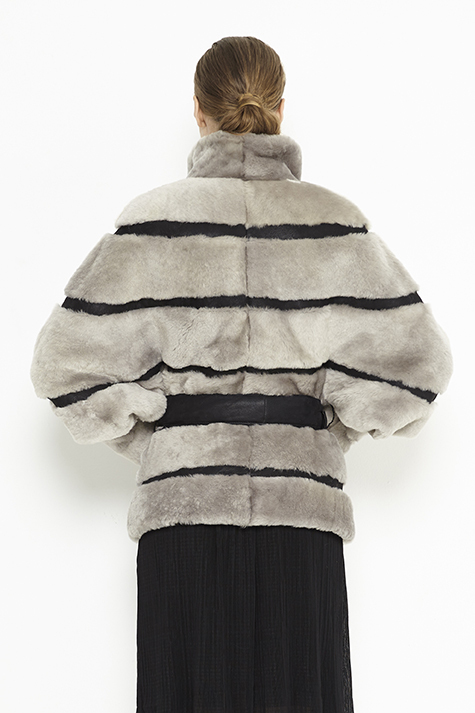 Horizontal lines makes this coat have a special design. 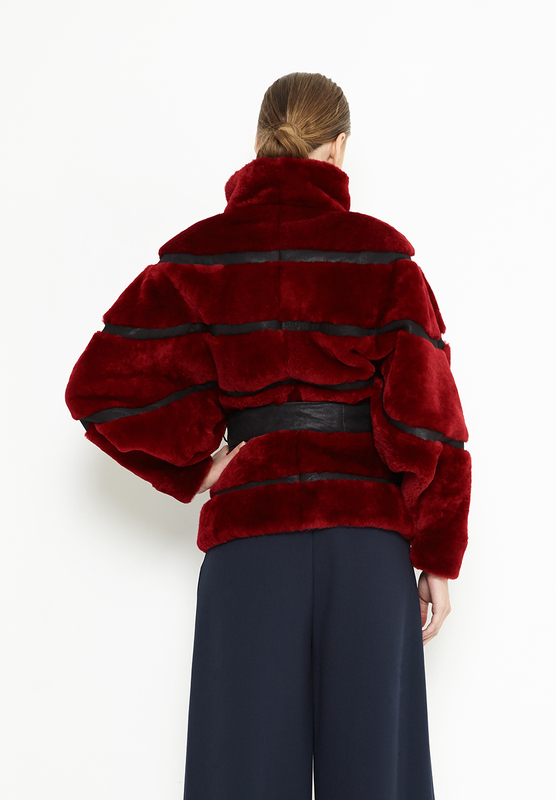 The accessory of this coat is the belt that can highlight your waist in a special way. Closing of this jacket is provided by clips and at the base of the collar is a magnet. This product is available in the colors: beige, grey, burgundy and black.